Cuttlefish a.k.a. “Kings of Camouflage” due to its ability to change its color to hide from possible predator, although color-blind, are able to rapidly change the color of their skin to match their surroundings and create chromatically complex patterns, apparently without the ability to perceive color, through some other mechanism which is not yet understood. They have been seen to have the ability to assess their surroundings and match the color, contrast and texture of the substrate even in total darkness. Cuttlefish is neither squid nor octopus but belong to the class Cephalopoda, which also includes squid, octopuses, and nautiluses. 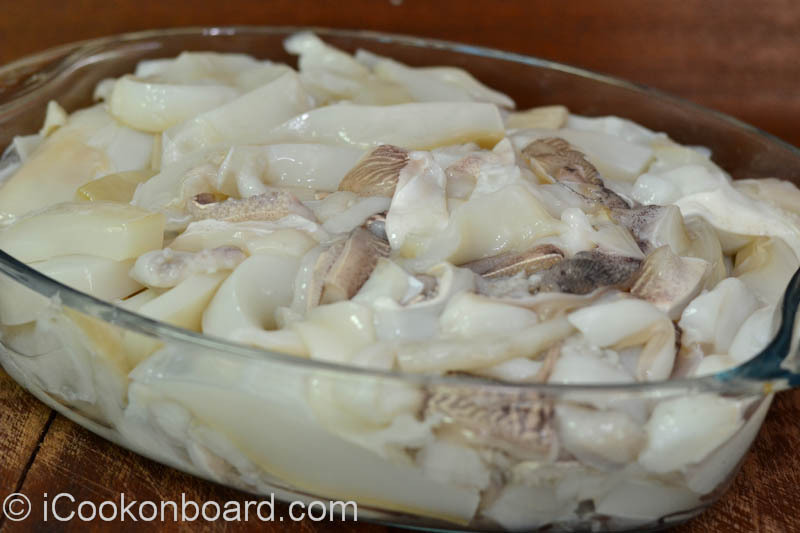 ‘Cuttle’ is a reference to their unique internal shell, the cuttlebone. 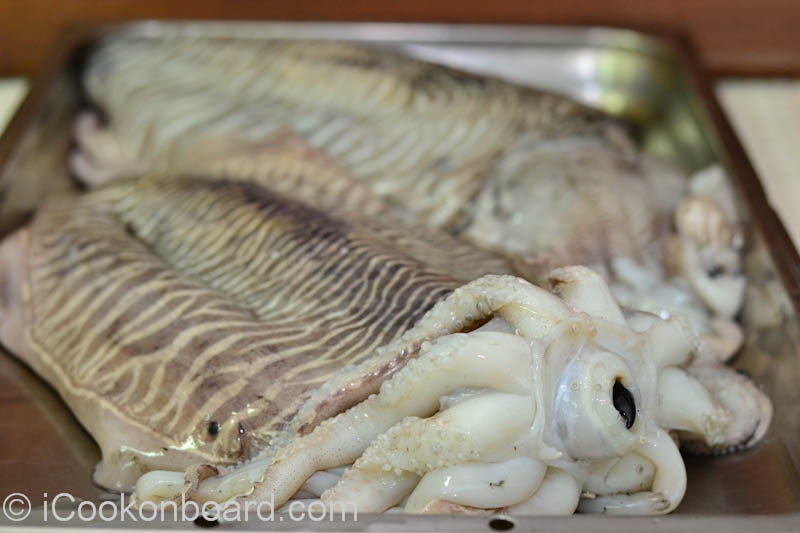 Despite their name, cuttlefish are not fish but mollusks. Cuttlefish ink was formerly an important dye, called sepia. Today, artificial dyes have mostly replaced natural sepia. 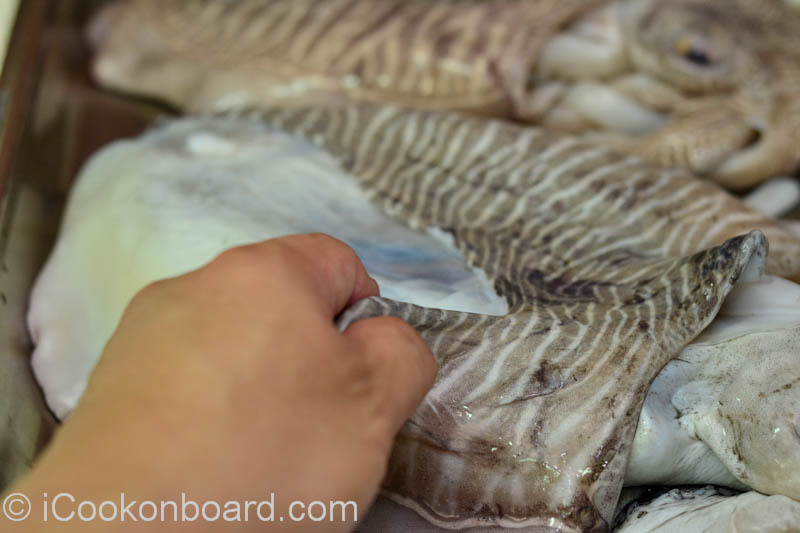 The Sepia tones/presets on your Adobe Photoshop, Lightroom or any of your photo editing apps will not be available if not for the cuttlefish ink. Big thanks to Cuttlefish for its photography contribution. 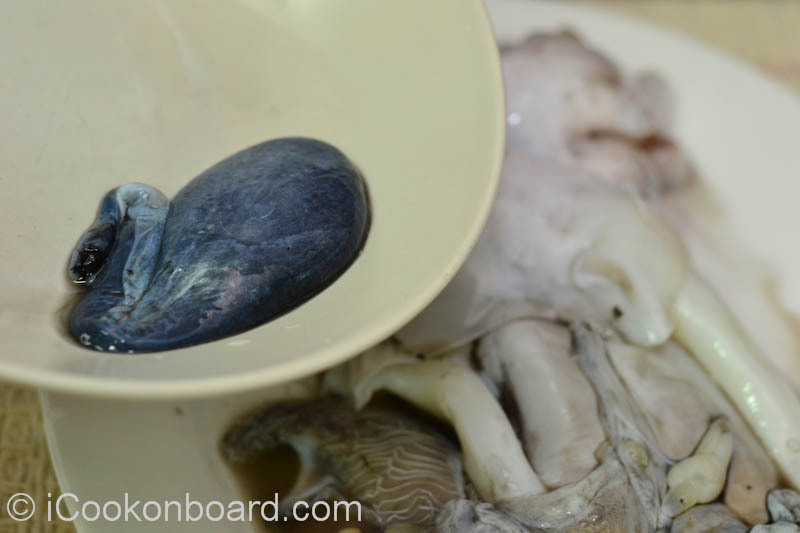 Aside from that, Black pasta is often made using cuttlefish ink. 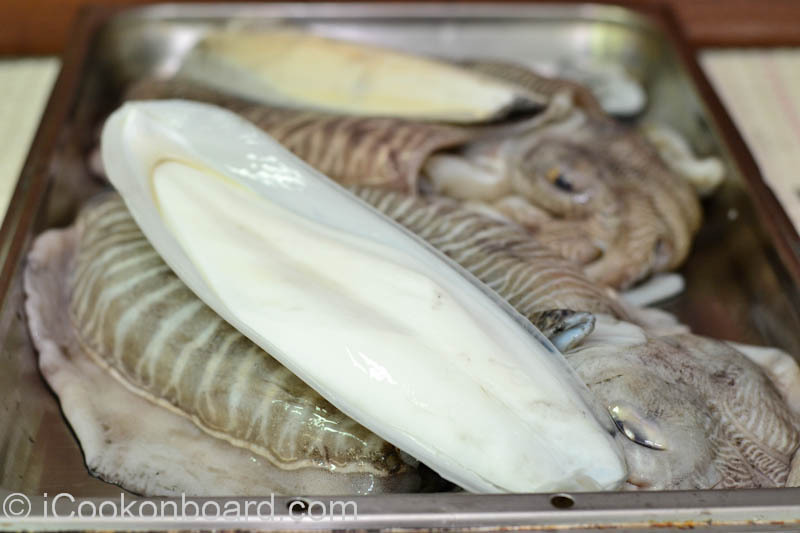 Cuttlefish, fresh catch from Persian Gulf. Step 1; Remove the beak. 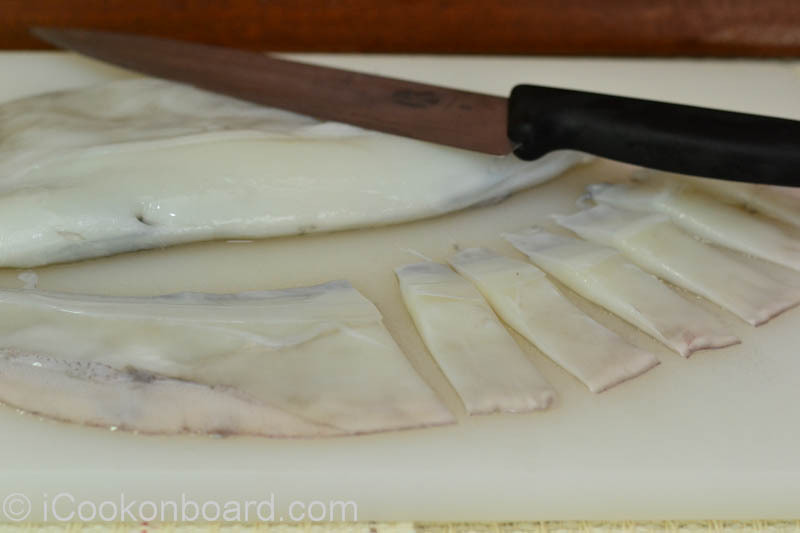 Step 2; Take out the cuttlebone. Step 3; Feel off the skin. 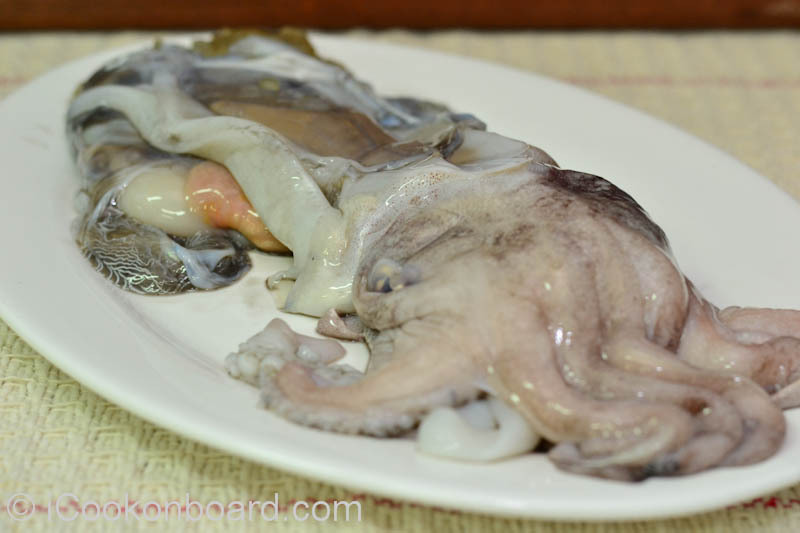 Step 4; Remove the head with all internal organs from the body, carefully pull the ink sac and edible roe. Discard the remaining innards. Cut/slice the head, arms and tentacles. 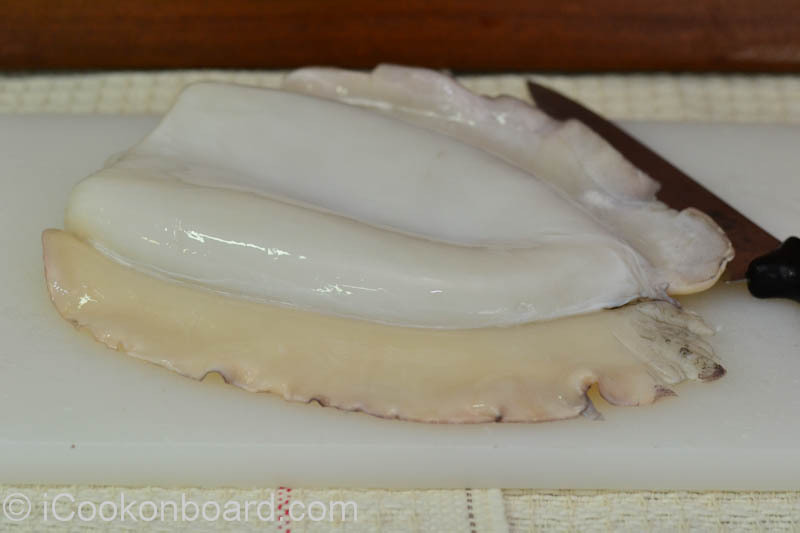 Step 5; Cut and slice the cuttlefish to your desired shape and sizes. Pull backwards the Cuttlefish arms and tentacles to see its mouth. Press its lip to take out the beak. Discard the beak. 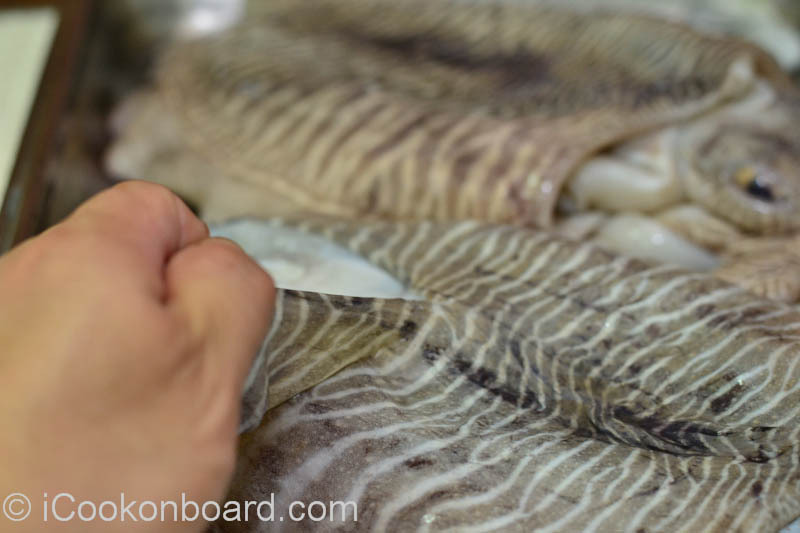 Make a slit for easy removal of the cuttlebone. 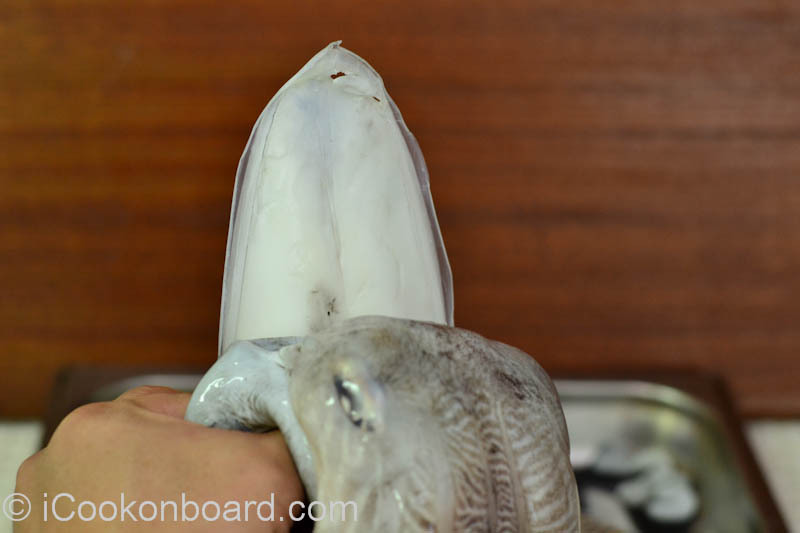 Using both of your hands, hold and stand the cuttlefish. 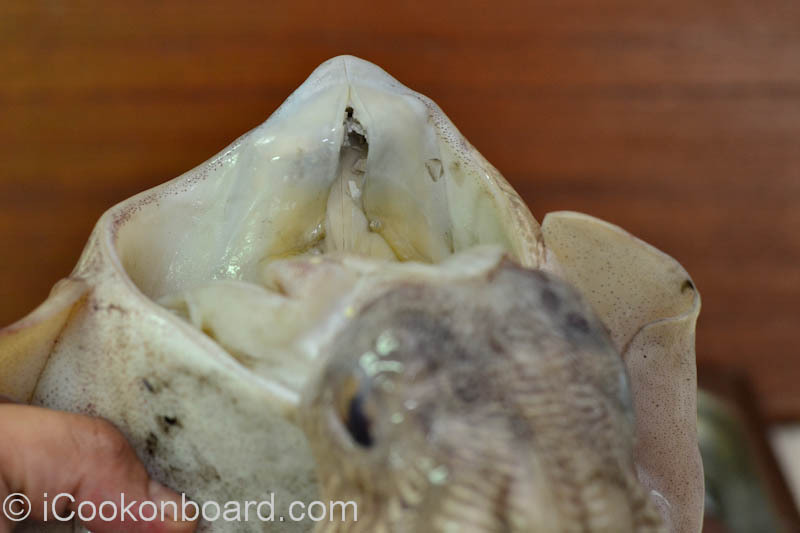 Push down the cuttlefish to slip out its cuttlebone from its body. Discard the cuttlebone or let it dry and give it to your parakeets or other caged birds, it is a good source of dietary calcium. Cut a slit on its skin. Pull the skin off the flesh. Do the same at the back and to it’s fins. 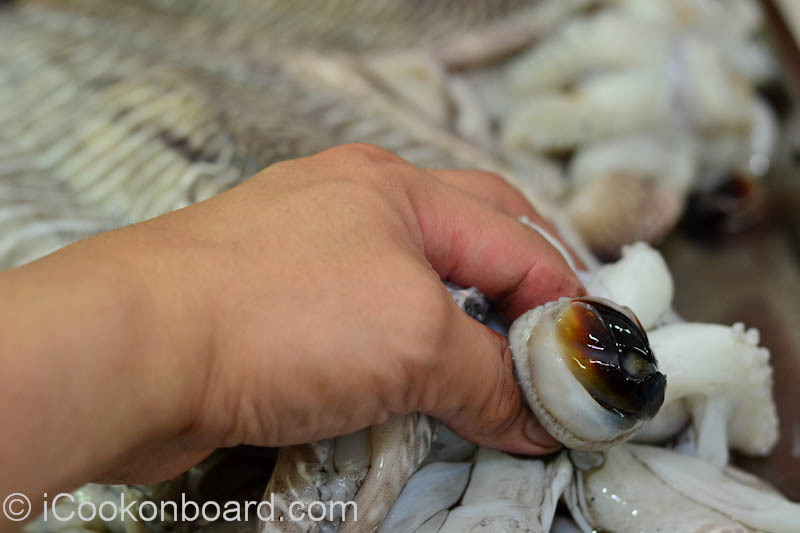 Step 4; Remove the head with all internal organs from the body, carefully pull the ink sac and edible roe. Discard the remaining innards. 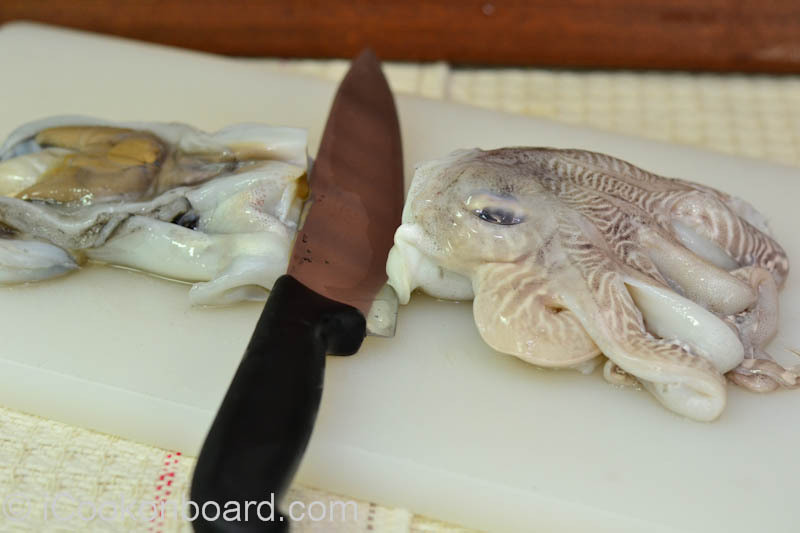 Cut/slice the head, arms and tentacles. Remove the head with all internal organs from the body. Ink sac can easily distinguished due to its jet black color among the other internal organs. Carefully pull the ink sac. It can be freeze and reserve for future use. 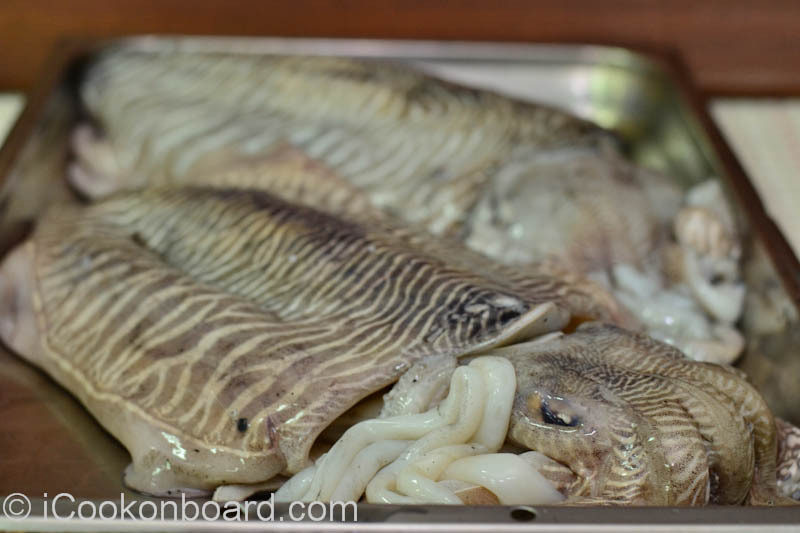 Edible roes can also be added to some Cuttlefish dishes. * The cuttlefish has one of the largest brain-to-body size ratios of any invertebrate, perhaps even larger than that of the octopus. According to some scientists studying cephalopod learning, the cuttlefish can use visual clues to solve mazes, making it as intelligent as the octopus or land animals like the pigeon. * The cuttlefish has three hearts, with two pumping blood to its large gills and one circulating the oxygenated blood to the rest of its body. Previous A Hero For A Day.